Discussion in 'Other Legal Issues' started by Ray V, Mar 21, 2019. I sued a pharmaceutical company and settled out of court. My attorney settled for too little money because he made a major mistake on the facts of the case. Can I sue for malpractice? What are my options? You'll probably find that suing for malpractice will be difficult because you had to approve the settlement. If you weren't satisfied with it you should have said no. But take all the information you have on this to a lawyer in your state who handles legal malpractice cases and see what that lawyer thinks. Your attorney didn't settle. You settled. If you weren't happy with the amount of the settlement, you shouldn't have agreed to it. Can I sue for malpractice? Anyone can sue anyone for anything. Since you didn't share any relevant facts with us, no one can offer you meaningful feedback about whether your attorney did, in fact, commit malpractice. To sue or not to sue. To make a complaint to the State Bar or not to make a complaint. I sued for the death of my father caused by taking a medication which was found to cause cancer. My father stopped taking the medication when the manufacturer put a warning on the medication. Several months after I settled, my attorney told me that the reason my case was not worth more money was because my father continued taking the medication for years after the warning was added. This is clearly an error on his part in not understanding the facts of my case. Several months after I settled, my attorney told me that the reason my case was not worth more money was because my father continued taking the medication for years after the warning was added. This is clearly an error on his part in not understanding the facts of my case. A couple of points need to be emphasized here. First, you wrote that the medication "was found to cause cancer," but what does that really mean? As far as I know, there is absolutely nothing that always causes cancer, and there are lots of things that have a causal link to cancer. In fact, the State of California thinks virtually everything has a causal link to one or more forms of cancer. However, most or all of those things are perfectly legal, and lots of them (including, most notoriously, tobacco products and gasoline you put in your car) can be obtained without any sort of prescription or special permit. Second, there are lots of prescription medications that increase a person's risk of contracting cancer. However, those medications continue to be properly prescribed and, for many people, are appropriately taken, despite the increased cancer risk. Likewise, many over-the-counter medications carry an increased cancer risk. What evidence existed regarding the date on which your father stopped taking the medication? Obviously, he was no longer around to testify as to when he stopped taking it. Regardless, the amount of the settlement was within your control. If you didn't like it, you shouldn't have agreed to it. If your theory is that your attorney's advice regarding settlement was based on a mistake by the attorney about an important fact -- which mistake was unknown to you -- about which the attorney should not have been mistaken, you will have an incredibly difficult fight on your hand. You will have to prove that, had the attorney not been mistaken about the date when your father stopped taking the medication, he would have advised you differently regarding settlement and that, as a result, you either would have been able to negotiate a larger settlement or would have recovered more at trial. Proving that the opposing party would have paid a larger settlement or that you'd have gotten more in a trial will be an expensive and almost impossible burden. You're free to consult with a local malpractice attorney who can review the details of the underlying case and provide you with reliable advice. My father's documented medical history proves the dates on which he started and stopped taking the medication. As for the attorney, he wrote me an email stating that the reason why the case was not worth more money was because my father took the medication for years after the warning was added to the medication. In other words, I have his opinion that the case would have been worth more money if my father had stopped taking the medication when the warning was added. There are several cases regarding this same medication that received substantially greater settlements. There are several cases regarding this same medication that received substantially greater settlements. Again, YOU had the option of rejecting the settlement, but you accepted it. I hired my attorney to help me make the best decision possible. I acted on his advice and accepted a smaller settlement. His advice was based on incorrect facts about my case. He also negotiated a settlement which was smaller than it should have been because the negotiations were based on incorrect facts about my case. In short, I hired an attorney to perform a service and he delivered a subpar product. If your theory is that your attorney's advice regarding settlement was based on a mistake by the attorney about an important fact -- which mistake was unknown to you -- about which the attorney should not have been mistaken, you will have an incredibly difficult fight on your hand. You will have to prove that, had the attorney not been mistaken about the date when your father stopped taking the medication, he would have advised you differently regarding settlement and that, as a result, you either would have been able to negotiate a larger settlement or would have recovered more at trial. Proving that the opposing party would have paid a larger settlement or that you'd have gotten more in a trial will be an expensive and almost impossible burden. Please don't repost previously posted material. I heard you the first time you posted this. This thread is open to anyone who wants to post, not just you. If you don't have anything new to add, then don't post. I decline your hypocritical suggestion. As you noted, "[t]his thread is open to anyone [including me] who wants to post," so I will post as I choose until such time as a moderator requests that I not do so and chooses to close the thread. Since your most recent comment suggested to me that you had neither read nor understood what I previously wrote, I felt it appropriate to repeat it. Is there anyone here with any actual legal training who can offer legal advice? Legal Disclaimer: The content appearing on our website is for general information purposes only. When you submit a question or make a comment on our site or in our law forum, you clearly imply that you are interested in receiving answers, opinions and responses from other people. The people providing legal help and who respond are volunteers who may not be lawyers, legal professionals or have any legal training or experience. The law is also subject to change from time to time and legal statutes and regulations vary between states. It is possible that the law may not apply to you and may have changed from the time a post was made. All information available on our site is available on an "AS-IS" basis. It is not a substitute for professional legal assistance. Before making any decision or accepting any legal advice, you should have a proper legal consultation with a licensed attorney with whom you have an attorney-client privilege. For purposes of New York and New Jersey State ethics rules, please take notice that this website and its case reviews may constitute attorney advertising. Ah...the old "I don't like what you said, so I'm going to attack your credentials despite being completely ignorant about your credentials" plan. Very nice. adjusterjack and cbg like this. You have received actual legal information from at least two actual attorneys. That what they told you is not what you wanted to hear does not make the information incorrect. 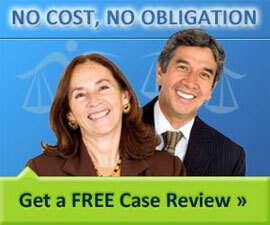 At this point I suggest you consult a malpractice attorney as we appear to be of no further help to you.